More detail. More colour. More contrast. 4K breathes new life into all your images with four times the resolution of Full HD for a captivating viewing experience. From movies and TV programmes to corporate productions and online video. And from cinema projection to cutting-edge medical imaging, video security and much more. The world of Sony 4K takes you beyond definition, with exciting new creative and commercial possibilities. We’ve got the products, the unrivalled vision and world-leading expertise to support every aspect of your 4K workflow, from lens to living room. Maximise the value of all your content – today and tomorrow – with 4K from Sony. Once you’ve seen it, there’s no looking back. 4K gives your viewers four times the detail of Full HD and so much more. 4K means more pixels. And more pixels mean more detail. 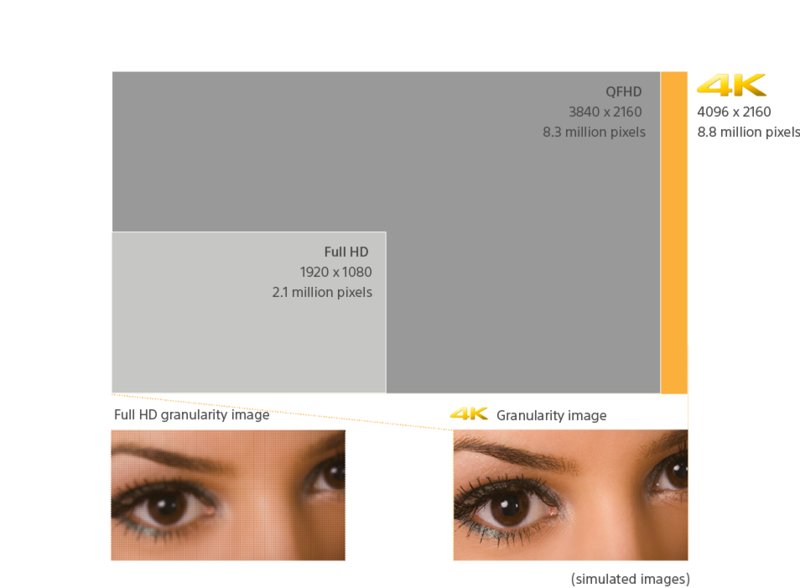 With over 8 million pixels in every frame, 4K takes audiences way beyond High Definition, whether it’s the 4096 x 2160 resolution favoured by the cinema industry or the QFHD (3840 x 2160) standard used for broadcast and consumer televisions. Engage audiences, differentiate your content and generate exciting new revenue possibilities with Sony 4K today and tomorrow. In 2006, Sony launched the world’s first 4K digital cinema projection system, increasing demand for high-quality digital content with 4K resolution. 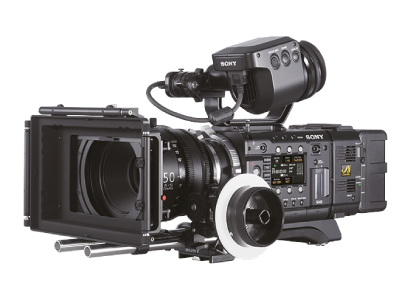 And in 2012, to strengthen our 4K toolset, we introduced the F65, our epoch-defining CineAlta digital cinema camera. 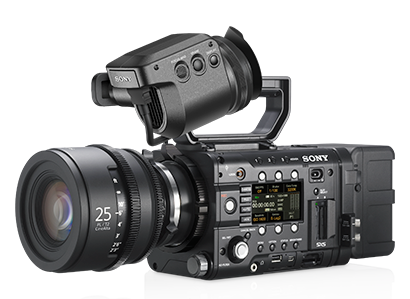 In addition to the F65, the PMW-F55 and PMW-F5 were launched in 2013 as part of a new line-up of CineAlta 4K cameras. CineAltaTM 4K acquisition tools have been created as total imaging systems from sensor to codec, designed to capture the image rendered by the lens with the utmost fidelity. 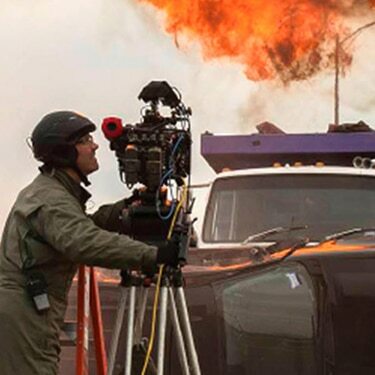 Various cutting-edge technologies such as a Super 35 mm imager, wider dynamic range and colour gamut, high sensitivity, and high-speed recording systems – have been used in these cameras, allowing cinematographers to freely express their creative vision. 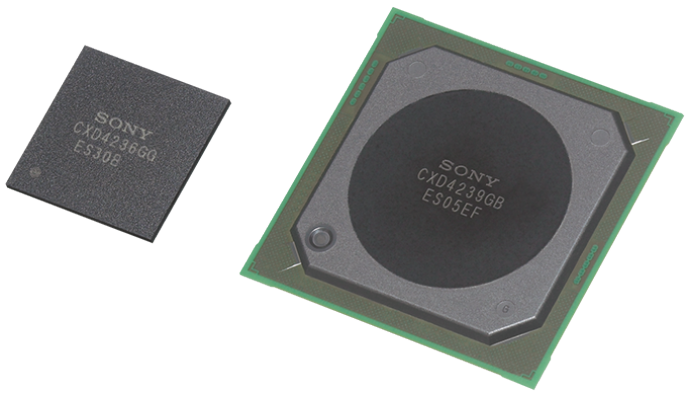 Cutting-edge image sensors are at the heart of CineAlta 4K cameras. 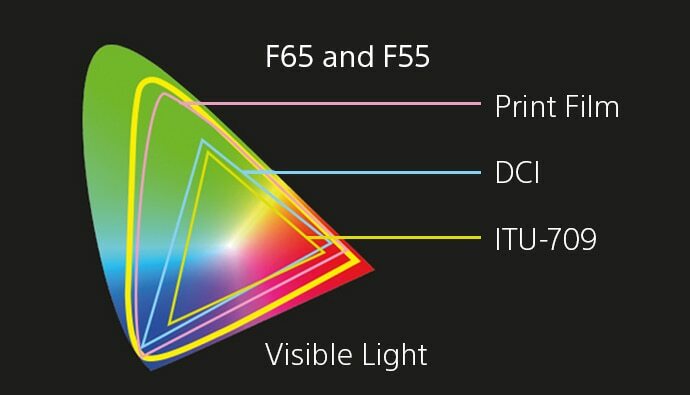 The F65 has an 8K sensor, while the F55 and F5 have different types of 4K sensors. 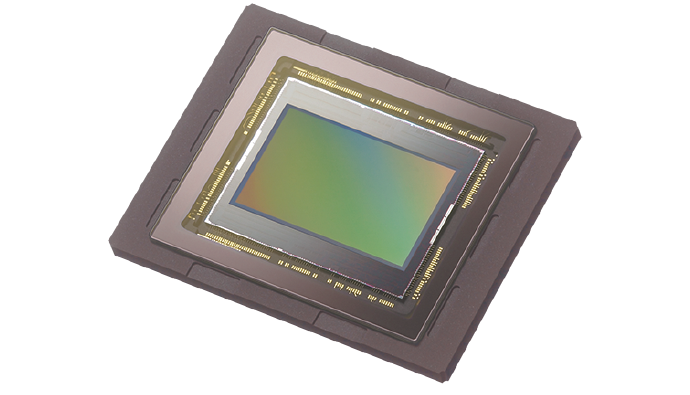 These Super 35 mm 8K/4K CMOS sensors deliver unparalleled 8K/4K/QFHD/2K/HD resolution images with extremely fine texture and low aliasing. Even if postproduction and deliverables are in 2K/HD, these sensors provide gorgeous, super-sampled 2K/HD images that ordinary HD cameras can’t touch. CineAlta 4K cameras capture an incredible dynamic range, from deep shadow to bright highlights, and the widest colour gamut ever, even wider than print film – plus they precisely reproduce the true colour of what the user sees. These capabilities give colourists full flexibility in colour correction during post-production. 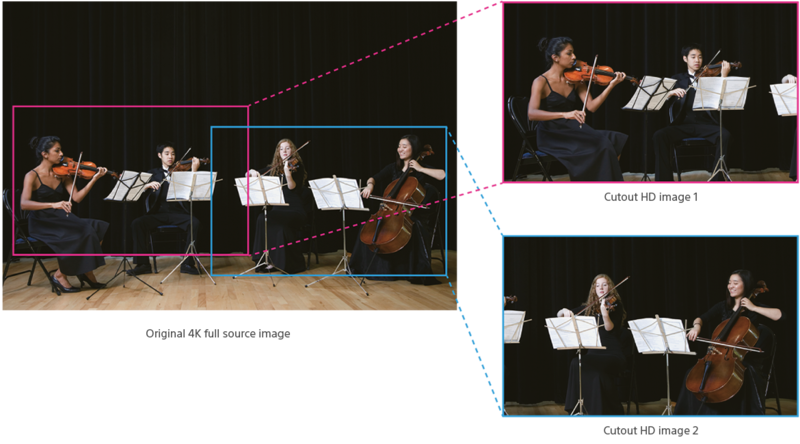 New image sensors and in-camera image processors of CineAlta 4K cameras give an impressive 14 stops of exposure latitude, high sensitivity, and low noise. These cameras deliver super clear images, even when shooting interiors or night exteriors with only ambient lighting, and also enable graceful rendering of scene contrast even in searing sunlight. At four times the resolution of full high definition, 4K Live video delivers fantastically detailed images that make you feel like you’re actually there. 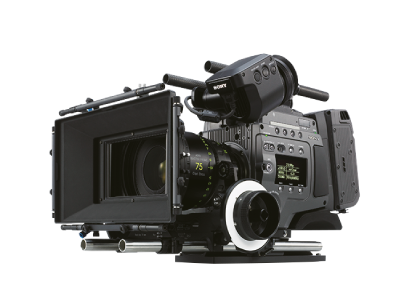 Starting with our CineAlta 4K cameras, we are continuing to develop key products in the 4K production chain. From shooting to viewing, our Live Production system features an efficient workflow, while our proprietary XAVC format enables reliable compression and decompression across both 4K and HD platforms. Our system provides 4K resolution (QFHD 3840 x 2160) and also brings new capabilities to HD Live Production with HD cutout and high frame rate functionality. These creativity-enhancing features lead to better programme production, facilitating true-to-life sports entertainment and concert coverage, while use of our 4K Live system is spreading at corporate level into several industries. The migration from HD to 4K has already begun, with trial 4K broadcasting already underway in a number of countries. Our 4K systems support both 4K and HD broadcasting, so you can migrate at your own pace and in accordance with your budget. 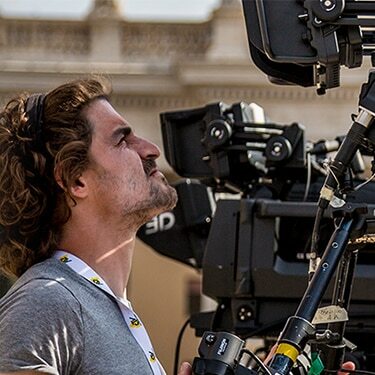 Groundbreaking 4K Live Production workflow. Capturing in 4K today adds real value, future-proofing your content with more flexible distribution options and exciting new revenue possibilities. Produce simultaneously in 4K and Full HD – multiformat workflow’s never been easier, faster or more powerful. Zoom and crop 4K footage for perfectly-composed Full HD shots, even with challenging subjects like distant wildlife or fast-moving sport. Grab multiple HD cutout images from a single 4K camera source. What’s more, footage shot in 4K looks far sharper and richer, even when it’s down converted for transmission and distribution in HD. Cutouts and zooms give viewers a completely clear image. Two modes enable a Full HD image to be cut out from the 4K picture in real time – users can select either Zoom and Perspective mode or Simple HD mode. Keeping the camera in a fixed position, any portion of the captured image can be cropped to provide a close-up HD image to viewers as if the camera had been panned. One portion can be cut out while performing perspective transformation, according to the lens focal length in Zoom and Perspective mode. Two portions can be cut out at the same time in Simple HD mode. 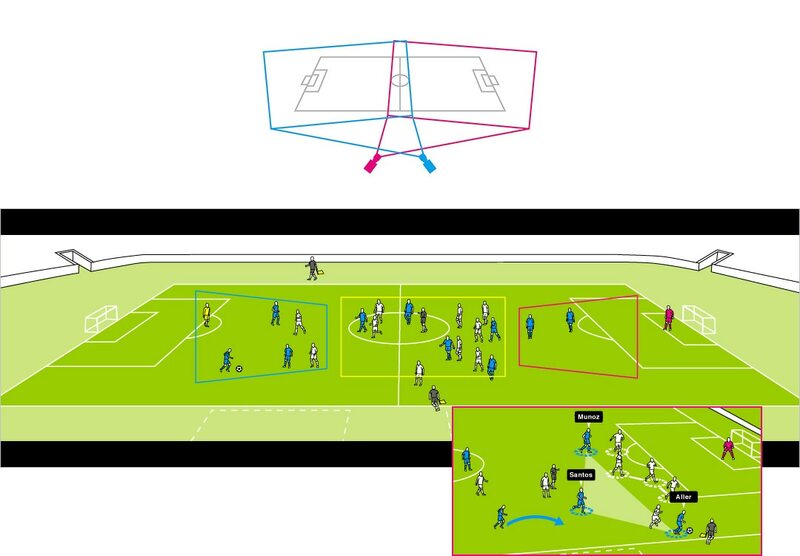 Sony’s PWA-4KS Stitching Software composes an 8K × 2K wide view of an entire field of coverage, like a football pitch, shot by dual 4K cameras. Any area on the composed view allows extraction of up to three HD views as if they were cutout images. By shooting the complete field of coverage, there’s no chance of missing a single moment of the action. 4K means more than just pixels. Content captured with High Dynamic Range (HDR) pulls audiences deeper into the story with spectacular contrast and a dramatically expanded range of brightness levels, from sparkling highlights to richly-detailed blacks and shadow detail. Broadcasters, film-makers and content creators are taking advantage of the HDR capabilities of today’s production tools. Discover more light, more shade and more of everything in between with Sony 4K, just like real life.